A half-decade or so since its introduction, Apple Pay continues to dazzle. It's the best-known of the world's mobile phone, contactless payment systems. And, by introducing new iPhones and iPads each year, Apple keeps its devices popular, stirring the Apple Pay pot. Despite Apple Pay's standing, new bank and bank card mobile apps, among others, have also made their mark on retail payments. 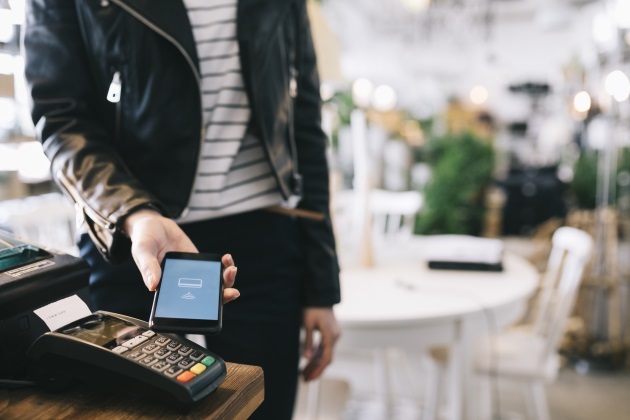 Considering the advent of Apple Pay's contactless (aka near-field communications or NFC) counterparts for non-Apple phones — Android Pay and Samsung Pay — the existence of a variety of services has been the defining trait of the mobile payments scene. Retail payment options present a remarkable range of choice for customers and retailers, especially online. From the widely accepted, initially desktop, systems like PayPal; to mobile operating gateways like Apple Pay, Android Pay and Samsung Pay; to the banks' own mobile wallets, like Chase Pay; the systems are actually numerous. It's a lively landscape, even if some retail analysts think this universe will soon become less fragmented. That is, these payment services will invariably consolidate as providers try to make payments as seamless as possible. Only a few contenders will be left, they say. What seems likely is that, in the drive for more expedience and convenience in payments, developers of two or three major payment services or "OSs" will consolidate the multiple systems into one— at least according to a recent "fintech" posting on Insider Trends. As with the introduction of popular innovations — such as voice command programs and artificial intelligence (AI) systems — mobile payment systems, once refined and integrated with each other, will likely have much less viscosity and visibility for users. That's the hallmarkof a mature, well-adopted technology. Already, a large number of consumers use phones in-store to compare prices, retrieve product information and read reviews. Retailers and others are using these newly conceived, hugely convenient apps to create branded worlds unto themselves. Each app is a portal or potential portal to more than payment functions — such as access to a retailer's website; to its email and messaging channels; and to a retailer's rewards or loyalty programs. These tend to incentivize an app's continued use and evolution. Each starts with a user's selection of, and identification with, a mobile phone type (e.g., Apple's iPhone, as in Apple Pay) or financial institution (e.g., Chase bank, as in Chase Pay); membership in, or purchases at, a store (e.g., Walmart, as in Walmart Pay); or one's use of a wearable exercise monitor (e.g. Fitbit, as in Fitbit Pay). It's true that, overall, the most widely used offline payment apps are of the NFC stripe. But bank and store apps now constitute their own galaxy in an enlarging retail universe, whether online or offline. Square is another type of payment alternative. Yet other services include LevelUp and Verifone's SAIL (involving scanning QR codes). Not surprisingly, contemporary e-commerce checkouts can still include a so-called normal gateway, positioned along with services like Apple Pay, PayPal, Klarna and Amazon Pay. For the foreseeable future, mobile "wallet" payments systems will continue to find more retail users. There will be plenty of development and refinement of such payment apps or systems in the retail space. Why? Among other things, multitudes of customers and end-users still utilize standard, older payment types such as credit cards and cash. The mobile wallets and systems are still only diffusing in society to a limited extent. Only a small portion of customers use them. Meanwhile, those older payment methods like cash and credit cards aren't likely to become obsolete, useless, illegal or even declassé anytime soon. Not surprisingly, banks and stores still find contactless and other mobile payments apps ripe for development and exploitation. As an alternative to the NFC entrants, many of these systems continue to rely upon Wi-Fi or wide-area cellular networks — again, in contrast to the NFC systems' required close-proximity hailing and handshaking. In particular, artificial intelligence and machine learning will be applied to making shopping seamless so that consumers won't have to continuously reestablish their credentials. The envisioned integrated product will be more straightforward to use and adopt, online and offline, and more widely accepted by retailers and their customers. Some retailers will be able to instantly recognize their own customers and the customers' data. This will be one of several elements that will tend to make the system easier, faster, and more secure. It would seem to be progress for an electronic society that a slew of payment services would eventually be distilled to a common one, like a common currency — whatever shape or form that service ultimately takes. Meanwhile, retailers and users will continue to select, craft and exploit systems of their choice to their best advantage — while there is still leeway for refinement and maybe even disruption in this space.